It would be very much inspiring if you are working for a good cause like having children. Your earnings would acquire more value when you provide them to people you love or even for yourself. Doing freelance is a good thing for parents who are taking care of their kids at home. This would allow you to work during free time and when the kids are busy with their own work. A full time parent can successfully do freelancing if he or she is able to handle it well. There are already many freelancers who had been successful with their freelance careers while having kids around the house. It can even give countless advantages to a parent. So, are you a parent who wants to venture into freelancing? You can actually do it. Or are you already into freelancing but you find it hard to handle the kids? We have here some tips to help you make things easier. Read on and be a successful freelancer and a parent at the same time. When there are kids around you, do not be stressed. Kids are kids. They play a lot and make noise too. Do not be too bothered about that. Just let them do what they want to do and you just mind your own business. But while you work, you should also try to keep an eye on them at the same time. You really do not need to be stressed out because if you just go with the flow (with limits) you will see yourself happy while being productive. Stressing yourself by scolding the kids for being noisy will only affect your work and can even make you less productive and effective. But if you feel stressed, try to learn the 12 Ways to Stay Away from Stress for Graphic Designers. 2. Work on extreme hours. If you really cannot work during daytime when the kids are still actively playing, you can consider working on extreme hours. That could either be so early in the morning or late at night. This way, you can focus with your work while the kids are still sleeping. This usually works for freelancers who have kids in their homes and they can even be more productive in working during those hours. 3. Consider a baby sitter. Taking care of kids is a challenging task and would also require much patience. If you feel that you can no longer handle them especially if you have tons of work to finish, then go get some help. Hire a babysitter or you can ask a family member to watch over your kid while you are still finishing your work. Make sure that when someone is already taking care of your kid that you will make use of your time wisely. 4. Create a kid’s space. Another good thing to do is to create a kid’s space. You can have an area where the kids can play. It could be a separate playroom or just a space near your work area. Make sure that your location is good enough to still keep an eye on them even if you are working and they are busily playing. 5. Have a work area. 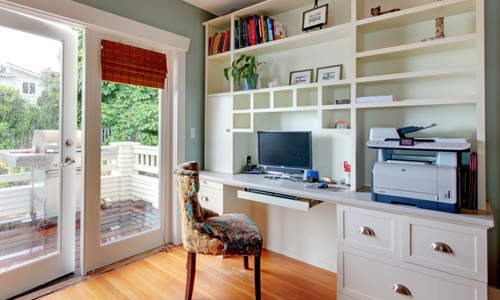 After creating a kid’s space or a play area for your little ones, create a work area for you. This is most of the time effective. If your kids are already on the right age to understand your work, you can tell them that when you are in your working area, you shouldn’t be disturbed unless it is very important. Doing that is setting boundaries in your home for your work. If you need some guide in designing your workplace, consider reading our post on Ways to Achieve a Relaxing Workspace. 6. Put your kids to work. While you are busy, let your kids do their own work. You know what that is. Playing is the kid’s career and that is normal for them. 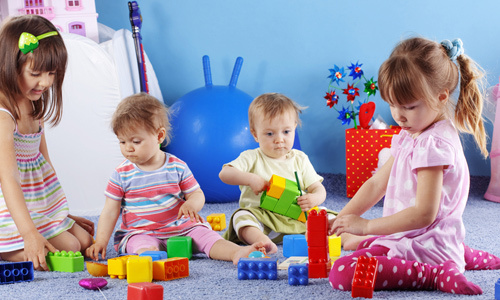 Since you have already set a play area for them, the next thing you need to do is to provide them with toys. Buy interesting toys for your kids. This way, they will certainly have a good time playing. Also, you can be assured that playtime is not merely for fun but also for learning. There are so many educational toys available these days. Go get some for your kids. 7. Focus with work but give time to your kids. This means that even if you are working, you should also entertain your kids when they need you. It doesn’t mean that just because you are focused with work that you will take the kids for granted. When you told them that you shouldn’t be disturbed while working, they won’t unless they need something. So when they come to you to ask for snacks or for whatever they wanna tell you, listen to it and do what you can do. Being a hardworking freelancer doesn’t mean that you will leave the kids alone. Be a good parent no matter what happens. 8. Set time devoted for the kids. Being a parent entails so many responsibilities which includes taking care of the kids. So before you begin with work, set a time exclusively for them. When you wake up in the morning, prepare their food, bathe them, play with them and do other stuffs with them. After that, you can now start working. At least it is still the children that come number one in your list. You will also feel good that despite your busy freelance work, you still have regular bonding hours with the kids. 9. Know your kid’s schedule. This is also important. 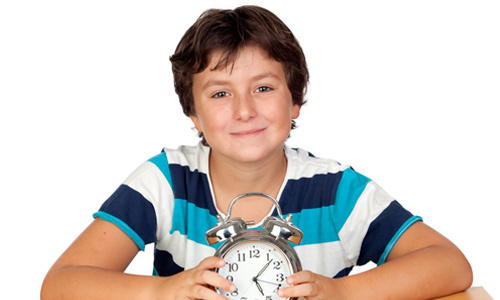 Look into what time your kids wake up, what time they sleep in the afternoon, what time they eat snacks and others. This way, you will be guided in your work schedule. Also, you will be able to prepare whatever they need for a certain time. You can even include their schedule in your schedule. 10. Be aware of deadlines. When you are occupied with a lot of things, you might forget to some important stuff like deadlines. So make sure that you are totally aware of certain deadlines for your freelance work. Post reminders or you can have a calendar in your work area where you will write the dates for your deadlines. This way, you can be on the right track even if you are busy with kids and with freelancing. Check out a related post on How Designers Can Hit Deadlines before Clients Hit Them. It isn’t really a hassle to have kids around while you work. Besides, the reason why you are working is because of the kids. Instead of being stressed, look at them as an inspiration that can motivate you to work better. If you could handle kids well, you will be able to appreciate freelancing even more since it allows you to be a good parent and a good work performer at the same time. Are you a parent who does freelancing? What do you do in order to work?